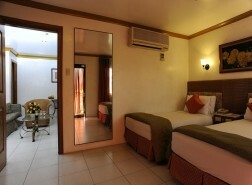 Room is air-conditioned and fully equipped with a cable TV, 24 hours running hot and cold water, complete bath amenities. Use of wifi is free. 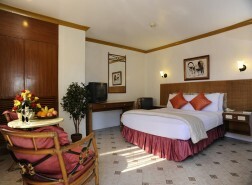 Extra Mattress charge is P900.00 per night and extra person charge (11 years old and above) is P700.00.